I took these last weekend while we were playing at the park. I love them. Both the pictures and the kiddos in them. What strikes me about these pictures is that they are of my mom's only two actual grandchildren. She died of breast cancer before she got to meet either of these wonderful people. Joey knows who Grandma Sandy is (and Kam will) but they never got to sit in her lap or know her in any real way. They'll only hear the stories. We'll tell them what a kind and generous person our mom was. How she was always late. And always talking. When we were young, she sometimes irritated us. After she died, and we heard person after person tell us how she was instrumental in making their lives better, we began to appreciate the lateness as well as the chattiness. She had been helping people. People told us how she inspired them, how she encouraged them to live sober, how she was simply there to talk to. She didn't just do these things for her children or her family, but for anyone that needed it. Sometimes, OK many times, she fell short of her promises. But, as I've grown up, I've realized that it's only because she promised so much. She had such good intentions that she often over committed. And now she's gone. And a very important person in our lives has HIV. And she isn't here to hug him and tell him everything will be OK. And we all miss her very very much, Tommy especially. So, in honor of our mom and in support of our brother, we are doing the Colorado AIDS Walk this year. We just got all signed up as a team, and the walk is in less than two weeks, so time is short. If you would like to sponsor me or sponsor our family group, I would be so grateful. On behalf of those who are living with HIV and AIDS and those who have been lost, thank you for your support. It means the world to me and to the people who will benefit from your generosity! Oh, and here's one more picture. Also a favorite. 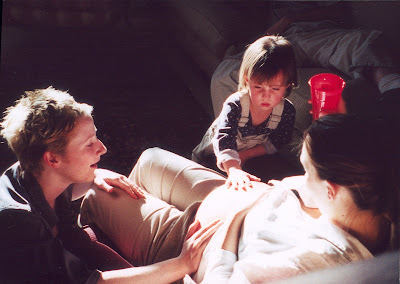 This is our mom holding my sister (Kam's mommy). I bought this cool, little green lid many many years ago. 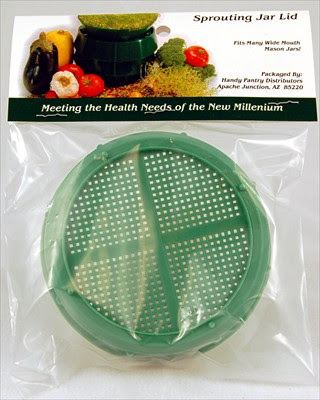 It's intended purpose (and the reason I bought it) is to help with growing sprouts. 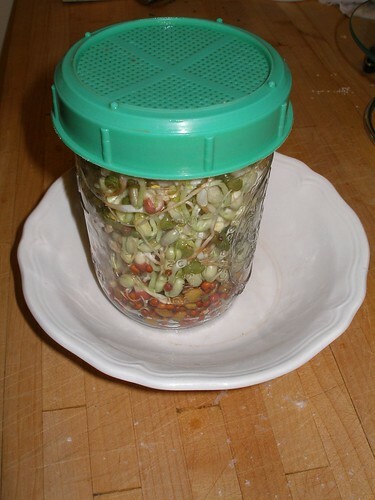 It screws right onto a wide mouth mason jar and is supposed to provide ventilation as well as to help drain away the water when you're doing the twice daily rinsing that sprouts require. However, when Joey was little, she soon discovered that this made an excellent lid to a bug jar, providing plenty of breathing holes and zero chance of insect escape. Many a spider has spent a happy afternoon/evening contained in a mason jar topped with this lid. Before we'd relocate any indoor bugs to the great outdoors, it was first treated to a tour of our house a la Joey. She'd carry the passenger around, saying things like, "And this is my bedroom, where I play with my toys. And here is the TV. Those things are called Teletubbies. And this is where we eat dinner. You can just watch while I eat. Mommy, does the spider want any of my food?" After awhile, I would explain that the spider needed to go outside and find her own food, so she'd give the jar to me to release. She had no squeamishness at all about setting the spider right next to her dinner plate when she knew it was safely contained, but the idea of opening the lid and letting the spider crawl out made her extremely nervous. She would usually watch me do it while standing safely behind the sliding glass door. So, anyway, we've kept it for 6 or 7 years, used it to provide air to dozens of bugs and have finally put it to it's intended use. I would like to pass along how not to do it. First of all, do not mix different types of seeds in one batch. They sprout at different rates, some still unsprouted while the others are slowly rotting. Secondly, when doing big seeds, like garbanzo beans, stir, swirl or shake often after you add the first soaking water. Otherwise they wedge themselves tightly in there. My attempts to loosen them with a chopstick has only resulted in breaking off pieces of the garbanzo beans. Pieces that won't sprout, but, I suspect, will only rot. I used these just sprouted garbanzos (those that survived long enough to actually sprout, that is) to make Sprouted Garbanzo Burgers from Super Natural Cooking by Heidi Swanson. It's a fantastic recipe. I've made it before, but used the canned garbanzo beans that she suggested as a substitute. And just so you can judge my opinion, I am not a vegetarian. But these were just so tasty, it really didn't matter. Here's a quick How-To for seed/bean sprouting, in general. 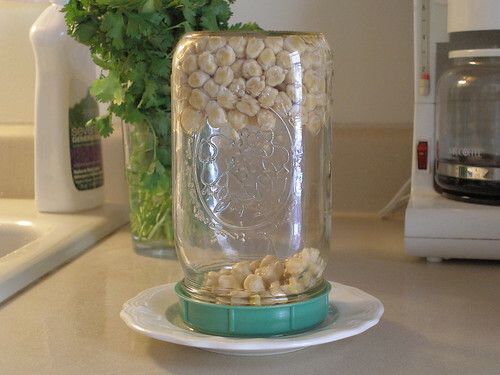 -Add a small amount of seeds to your jar (they will expand, so leave them extra space). -Fill jar with this water. 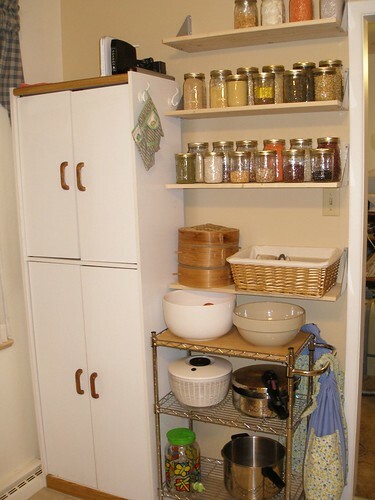 -If the seeds are big, let them soak for an hour or two, swirling or stirring regularly. -Attach lid and drain water. -Twice a day, you'll need to add fresh new water, shake or swirl and then drain off. -When they're sprouted, you can put them where they can get some sun and they'll turn green. Oh, and those lids are only like four bucks, so you could buy one for sprouting as well as one for your bug jar. I just wanted to make an announcement about an auction that's currently going on over at eBay. Eireann over at One in Ten is doing these auctions to raise money for her mother who has had extensive medical problems. "On June 4, an aneurysm on an arteriovenous malformation in my mother's cerebellum ruptured, causing a subarachnoid hemorrhage (bleeding between the brain and skull). Blood also collected in the center of her brain and caused a stroke. She was in the ICU for 3.5 weeks, then in physical and occupational therapy (inpatient) for 1.5 weeks." Eireann chose the name One in Ten because that is how many people survive this type of medical problem. Her mother, however, is expected to make a full recovery within a year. Which is great. Because of a pre-existing condition, though, her mother's insurance will not pay for recent medical bills, which judging from the statement above, I'm sure are astronomical. She has asked our community of crafters for donations of items to auction off and they have responded generously. So generously that by the time I offered to donate one of my aromatherapy necklaces, Eireann had already taken in more crafts that she thought she could handle and had to decline. For the links below, click on the person's name to take you to the donor's personal website (if available); click on the craft item to go directly to Eireann's eBay auction for that item. Some of this stuff is still going for pretty cheap, so you'd better check it out before they're all gone later this week. For any of you that would like to post this list of donors and eBay auctions addresses on your site, email me and I'll send you a Word document with the html coding for the above links for you to copy onto your post. One copy and paste is much easier than doing it from scratch! And if anyone finds any links that don't work, please let me know. 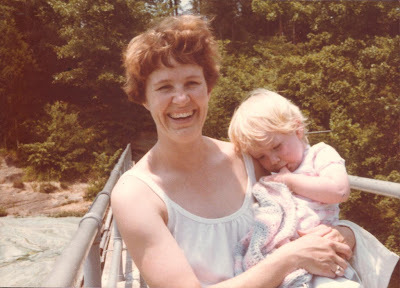 I guess I was encouraged to do this because I know how Eireann feels (and how her mom must feel); my mom didn't have any insurance at all when she was facing breast cancer as a single, working mother of four. The retail jobs she worked just didn't provide it. Why on earth does one of the richest countries in the world not have Universal Health Care?! I've decided to create a new group over on Flickr. It's called Merit Badges for Grown-Up Girls and is based on the book You Can Do It! The Merit Badge Handbook for Grown-Up Girls by Lauren Catuzzi Grandcolas (and Vaughn Catuzzi Lohec, and Dara Catuzzi Near). The story behind the book is this... Lauren felt that many of us women don't give ourselves the opportunity to learn new things the way we did when we were girls. We don't invest the time simply for the sake of learning. So she conceived this book, wrote the index and one chapter. Then, tragically, she died in one of the planes that crashed on September 11th. Her two sisters stepped in to finish the book for her and get it published. It's an amazing story and an inspiring book. Each chapter describes a new skill to learn and includes information to encourage you to get out and try it. And the last seven pages contain cute, little, round stickers, which are the 'badges'. It just goes on and on, with lots of really fun ideas. There are 60 different badges to go for, some of them easier (Decorating a Room), some much more time consuming (Getting Your Pilot's License). But every single one of them seems like a worthwhile experience, even if all you get out of it is to stretch out of your comfort zone a bit. So, if you don't already have the book, go get it, either at the library or your local bookstore. I'll see you on Flickr! Recently, I've read several blog posts about extra, often unwanted, produce (like Laurie with her zucchini and Finny and Laura with their tomatoes). Just this morning, I remembered a program that I read about several years ago, when I still lived in an apartment and was unable to do much gardening. It's called Plant A Row (or PAR for short). The idea is that when you plan your garden, you plant one extra row to harvest and donate to local food banks. It's wonderful to remember this when it's spring and you're planning, but it might be even more helpful to remember toward the end of summer when gardeners (especially ambitious ones) tend to get overrun with the bounty they have created. If you would like to donate any of your fresh produce, you can check out a list of donation locations. You can also email Carol Ledbetter, the program's Administrator or call her at 877-492-2727. 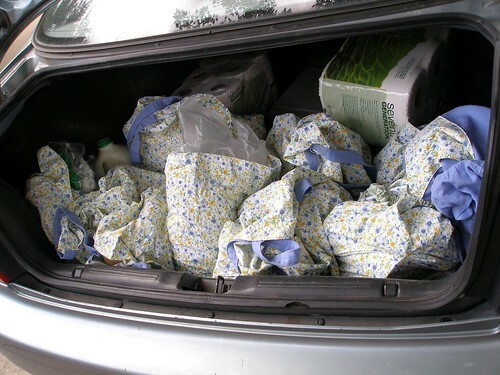 If there are no donation locations anywhere near you, check out the list of food banks to contact or you can start a campaign yourself, if you happen to be the volunteering sort. They also take monetary donations for those of you who are feeling extra generous. Because I'm a dork, that's why. 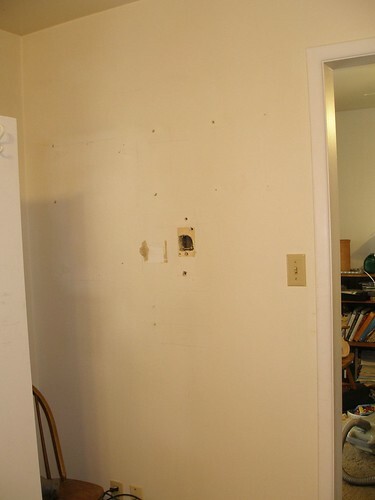 I took this picture before we patched up a hole in the wall. Look closely and you can see our sink, the faucet and even the hand soap. Hee Hee. I have no idea why this amuses me so much. I only know that it does. 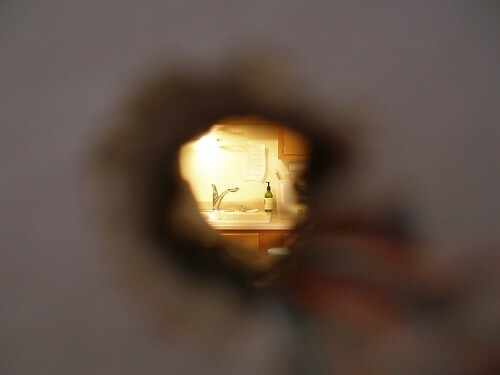 The hole was there because we were moving a phone jack from one side of the wall to the other during a recent kitchen project. Here are the before and after pictures of the project itself. I spent 5 minutes trying to get a good picture of Jeff looking through the hole, but he wasn't as amused as I was and just wanted me to grab the wire he was trying to shove through to the other side. 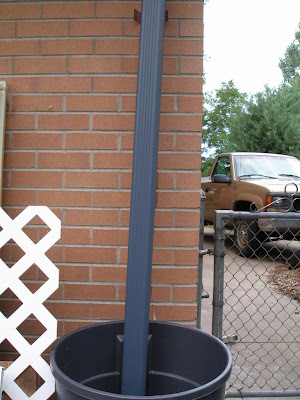 The picture below is of one of our rainbarrels, something that I've become obsessed with in the last week (here and here are the posts). I think this obsession stems from the fact that we rarely have much rainfall here, and have had lots lately. This is something that makes me almost maniacally happy. Really. You should hear me giggling every time I go out to check on the rainbarrels when it rains. I was worried about the half-assed nature of these rainbarrels (specifically the complete lack of filter or cover to keep mosquitoes and debris out). So, to keep mosquitoes from breeding in them, I went and bought 20 feeder fish. For less than four dollars I was able to stock every single one of my tubs of water with fish. 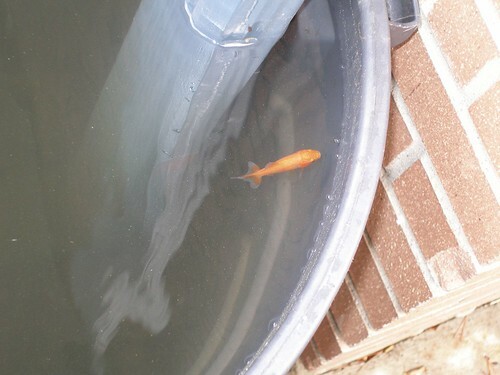 I'm not sure if this is a normal thing to do or not, but for some reason, these fish that now live in trash cans in my yard are way more interesting to me than the two that live in the tank in the family room. Maybe I'm subconsciously pretending that I have 6 or 7 little ponds. So, for various reasons that I shant go into, up until now I've been having a somewhat crappy day. I won't bother you with the specifics, not because I'm *not* a whiner and complainer, but because I feel you readers should not be exposed to it. I would hate for my bad mood to rub off on anyone. Let me just say that it has been trying (and the problems were all self-induced, which somehow makes it worse). However, as it usually does, something happened to move my self-absorbed focus from my own problems, to something greater than myself. And it is that experience that I would like to share. And I do hope that my current feelings of goodwill and happiness will rub off. Thich Nhat Hanh, is one of the kindest, gentlest human beings on the earth, and also happens to have been nominated for the Nobel Peace Prize by Martin Luther King, Jr. I think he gives excellent advice. He believes that when it is difficult to feel your own happiness, it can be helpful to reach out to others. It is good to empathize with others, to touch their happiness, to also touch their sadness. I believe this is one secret to a life well lived. You can move out from yourself and appreciate that we're all in this together. Each one of us has the same desire for happiness and peace. Your life doesn't seem so small somehow. I was reminded of how true this is, when I received an email from Cindy at Skip To My Lou this morning containing the picture above. 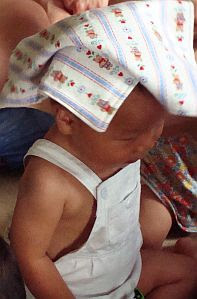 Earlier in the summer, Cindy asked her blog readers to make and send her 12" square blankets so that her nephew could bring them to orphanages in China with a group called Hope's Heart. They needed to be small, not to provide warmth so much as comfort. So, on a Thursday 'Craft Day' in June, we put together at least 5 or 6 of them and sent them off. The kids were excited to do most of the work themselves. And I was glad to see them do it. 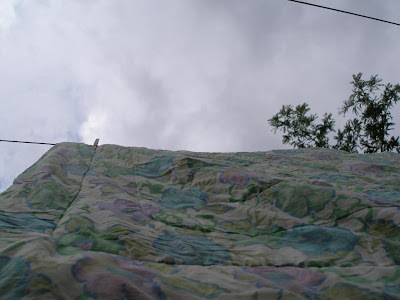 When they were finished, we held onto the blankets and sent a little bit of extra love into them. My mom was a Reiki practitioner and I believe that the energy of love is real, it's tangible and it can help heal the world. The little guy above is wearing one of the blankies that we made. Cindy's email said that he wore it on his head like a hat. 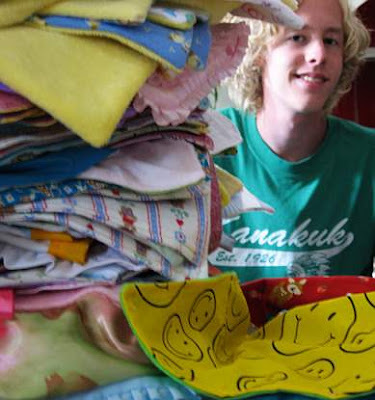 The picture below is of Cindy's nephew with some of the many blankets that people sent in. I was so excited to spot our blankets in this bunch back in July. I can't even tell you how thrilled I was to see the picture of the blankie's actual recipient today. It was so great to see these pictures and read Cindy's words. Each post she has done has literally made me cry. We made the blue stripy blankets with fabric that I inherited when my mom passed away. That, in itself, made it somewhat emotional. This morning, when I looked at that kiddo wearing a blanket made from that fabric, I just started to blubber. Joey went to get my sister, telling her that something was wrong with me. I don't know why she thought something was wrong; she sees me cry all the time. And, if I'm crying, it's most likely because of something extremely happy. I'm silly that way. So, in case any of you are reading... I would just like to say Thank You to Jaden, Joey, Raven, Aurora, Beccy and Jenny. Thank you for doing this with me. I hope you enjoy the picture as much as I did. So, it did finally rain yesterday. Instead of only pictures of cruddy buckets full of water, I thought I would show you the rain falling on our nice little garden off the porch. My sister's in-laws gave Joey a bucket full of summer blooming bulbs that we planted in the beautiful, dark, sheet-composted soil. I especially like the Elephant's Ear in the front. 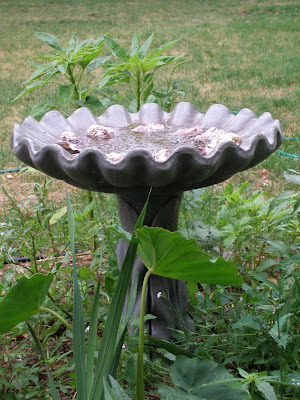 And if you're curious, those are oyster shells sitting in the bird bath. The tiny birds seem to like to perch on them while they drink. I just like how pretty they are when they're wet. So, since I control the weather and I had just set up a make-shift rainbarrel, which effectively ceased a potential rainstorm, you may be wondering how it is that I got it to rain. I hung laundry out on the line of course. Joey asked me why I wasn't bringing our picnic blanket in off the line when it was starting to rain. Why, in fact, was I was taking pictures of it getting rained on. The reason I was leaving it out... I didn't want it to stop raining. The reason for the pictures... because a picture is worth a thousand words. With the length of my posts, it might help me cut some of them out. It probably won't, though. So, just for good measure. Here's one more. The green bucket (Have you noticed that I seem to have a thing for buckets? This one, in fact, was picked up for free from a neighbor's trash.) was out in the yard, collecting water during the somewhat brief rainfall. Given the outward slopping sides, I'd say we got less than an eighth of an inch of rain. My rainbarrel (and I use that term loosely) contains about 9 inches of water. So even when we get very little rain, a lot of water flows out of our downspout. I'm so psyched. I guess my new project (because God knows I need another project) is to make my rainbarrel more operational. I've got lots more laundry to hang out, after all. Does anyone else out there think they can control the weather? Because I know that I do. Well, not really *all* types of weather, just whether it's going to rain or not. 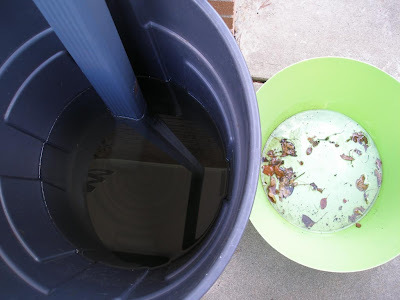 Yesterday I was reading a blog post about constructing a rainbarrel to collect water from the roof. I got all excited about it (it's been a project I've wanted to do for a long time) and decided to just do whatever I could to collect it because there was actually a 60% possibility of rain that afternoon. I used these to collect rain from my gutter. The two big containers *did not* fit under the spout. But that tiny little one (which is actually the bottom part of a potty training chair that I now use for various odd jobs in the garden) did. When my daughter was being potty trained, she didn't know that 'to train' was a verb. When she had to pee, she'd yell, "Mommy, I need to get on the potty train!" Now every time I hear someone speak about potty training, I think, "All aboard the potty train. Whoo whoo!" Anyway, as I said, the small container was the only one that fit under the gutter spout. So, I went ahead and put it there as soon as it began to rain. Within 5 minutes it was full to overflowing. So I dumped it into one of the bigger buckets and replaced it back under the spout. I would also like to mention that when I pulled it out from under the spout, I had to tip it on it's side slightly, so I lost about one quarter of the water that it contained. So, as the friends and family that were over visiting can attest to, every 5 minutes, I got up from chatting or shucking corn or grilling corn or frying chorizo to go and empty the small bucket into one of the larger buckets, each time spilling an inch or two of water. Because of this behavior of mine, it rained for quite a while. The weather gods were enjoying my antics and wanted them to continue. It did stop around the time when I needed to leave to go to a friend's house for beers. The weather gods knew that no matter how much it rained then, I would not be tempted to run home and empty the small bucket into the larger one. They did, however, know that around eleven o'clock at night the sound of rain falling on the roof would be very tempting to me. Which, I'm fully convinced, is why it began raining at that time. I lay in bed and thought, "I really ought to go and empty that bucket. The water's just overflowing from it and running onto the concrete." And then I'd think about how tired I was, what a long day it had been and I would drift off to sleep, only to be woken a half hour later to the exact same thought. And so it kept raining, trying to lure me out into the darkness with its siren call. It became an internal battle between my neuroses and my laziness. Lazy won. So, this morning I decided that I would unscrew the gutter from the wall and place a clean trash can under it. 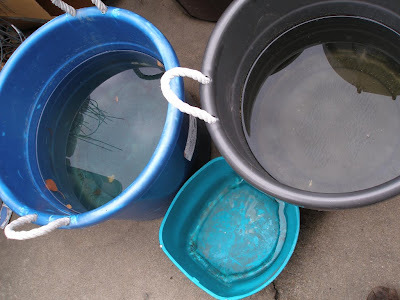 It wasn't outfitted quite as nice as the rainbarrels I'd been reading about, but it would catch water, and I wouldn't have to stoop down to help the process in any way. I got as far as making sure that my weed-picking trash can was cleaned out and then went inside for lunch. As I sat there, I heard a huge clap of thunder and ran out with my screwdriver to try to loosen the spout from the wall. OK, I can do this before it starts raining. Then it started raining. No worries, it's just 4 screws. Except the screwdriver wasn't working because the screws had been painted over. So, I got the socket set and got all of the screws out as it started raining harder. OK, oops wow, now I just need to somehow figure out how, to, slide, this, stupid, garbage can, up, under this dumb downspout (with only 3 inches of clearance). OK, perfect. Well, not perfect, but at least it'll catch water. So, I went back inside just as the rain stopped. As I write this, the sky is a perfectly clear blue with nothing but pretty white fluffy clouds floating through it. And when I was rushing with the screws, I swear to God that the entire sky southeast of my house was a solid gray color, and moving toward me. I realize that this is the exact reason that I have never before tried to collect rainwater from the roof. I knew that if I was prepared and especially, if it was easy to use, that it would never rain again. If I had one of those fancy barrels that actually has a spigot at the bottom that I could hook a hose directly to, that would totally be the kiss of death and our town would soon be a barren desert. This morning, I just read about a recall of almost a million toys by Fisher-Price. Apparently, their Chinese manufacturer used lead-containing paint on a bunch of toys, including quite a few Sesame Street and Dora ones. So you might want to check the link for a list of them (half way down the article). It's been quite awhile since we've bought anything like this (my daughter's 8), but it's a good lead in to a post I've been meaning to do for awhile. The more time I spend on the internet, the more fun things I find that would be great as presents for kids. 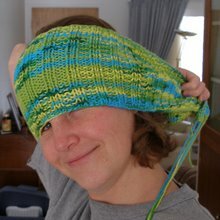 My favorites are things that are either hand-made or really original, or both. I also like buying from smaller companies or the artisans themselves. That way the money goes directly to the person, or people, that made the item. I like that. It's like eating dinner at the family-owned restaurant down the street instead of the the giant chain that you can find in every single town in the country. One of the companies I found is called Mahar Drygoods. 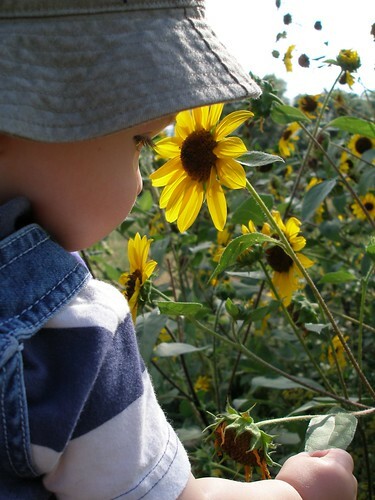 They've got loads of vintage and artisan crafted things for kids. Two of my favorite things aren't in stock right now, but you can sign up for an email when they are. 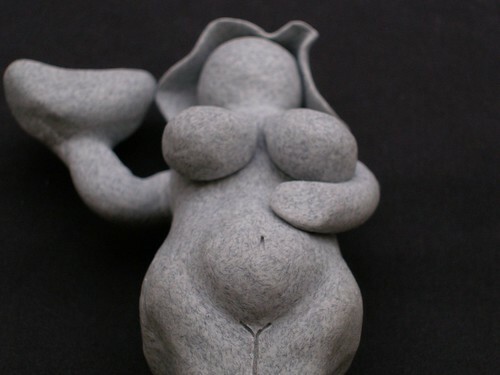 That's the thing with artisan crafted toys, they aren't mass produced (which is good), so you may have to be patient. 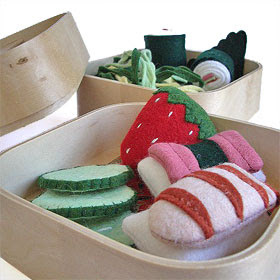 Lily Bean has a whole series of Play Food, and this is the Bento Box. And it even comes in a three tiered bento box. How great is that? "Inhabited by sweet characters from the imagination of artist Christine Haynes, each double page spread in Shy Monsters presents a story line, a journaling activity and a large illustration to color. 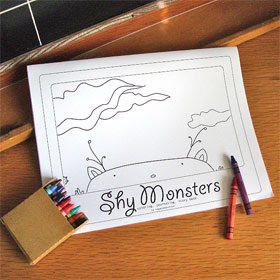 There are galleries that invite you to draw your own shy monsters, an official monster membership card and a decoder to write your own secret monster messages. And if that weren't enough, each book is accompanied by a set of 24 monster stickers to color and enjoy!" Another idea I've been keeping in the back of my mind is buying books of Moo stickers. You can custom order them with up to 90 different pictures of whatever you want to upload. How fun would it be to get an entire book of stickers of youself? The books are $10 plus shipping. Along with these, I was also thinking of doing some customized magnets from Zazzle. With both of these, just upload the picture you want and they'll make and send you the finished product. Together these would make an awesome little personalized gift. And lastly, of course, there's Etsy. They have a whole section of handmade toys. And tons of other very cool things that would be perfect for presents for any adults on your gift giving list. I love Etsy. Really I do. And that's not just shameless self promotion.